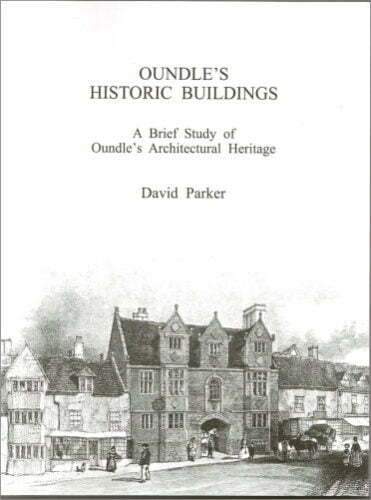 Oundle Museum has various books and leaflets for sale on local history. Many have been published by the Museum and all the profit from sales is ploughed back into the Museum. Cost £18.50 – all proceeds to Oundle Museum Trust and we can post out copies if you can’t get to the Museum. John Coleman Binder records very vividly the day to day impact of the war. He writes in detail of his own experience, of information from local people, from the newspapers and official telegrams displayed in the Post Office window. He tells of the arrival in Oundle of Belgian refugees, the recruitment of men to the forces, Zeppelin raids, the use of aeroplanes and the capture of spies. He is concerned with food shortages, rising food prices and the introduction of rationing. He is worried about the frequent sinking of ships and the call-up of so many farm workers. He is often critical of Government regulations and followed the debates in Parliament with interest. He served as a special constable, out at night to check that no lights were showing when there were air raid warnings. He was a member of the local tribunal which had to decide on appeals for exemption from military service. His diary shows hopes and fears rising and falling as the months go by and still the war rages on, until at last the end comes, and he lays down his pen with great relief and rejoicing. The diary, written a hundred years ago, has now been transcribed by Alice Thomas, who is a committee member of the Museum and is published by Oundle Museum Trust. This transcription of the journal of his tour to Rome with the Earl of Exeter. Price: £6.50 pp £2.00 Total £8.50. This is an account of the Nonconformist congregations which came into being: Independent, (later called Congregational) Methodist, Baptist and Quaker and Roman Catholic. If you would like to order any of the above books please send an email or telephone us using the details on the Contact Page. This book is about Oundle in the nineteenth Century as seen through the eyes of some 70 individuals whose wills are studied in detail. Life and events in and around Oundle are recorded in an interesting way using a wide range of supporting source material such as headstones, parish registers, census returns, trade directories, local newspapers, militia list entries and background extracts from John Clifton’s day books. The book has 98 pages of text and analysis, over 100 pages of transcribed copy wills, some 90 plates/illustrations and a comprehensive index. Printed and published by Peter Spiegl, Stamford. The extraordinary lives of Elizabeth Posthuma Gwillim and John Graves Simcoe by Ann Gwillim Parker – A hero in Canada but largely unknown in Britain John Simcoe was a man of valour integrity and vision. As first lieutenant Governor of Canada he founded the city of Toronto. His wife Elizabeth was no less extraordinary as his constant companion in the most inhospitable of terrains as mother, painter, mapmaker and benefactress. A range of Post Cards and Pamphlets are also available within the Museum for purchase a low cost.